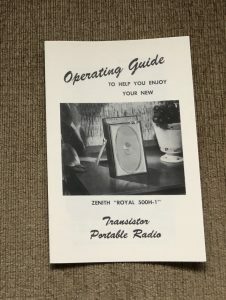 Offered here are original operating guides. 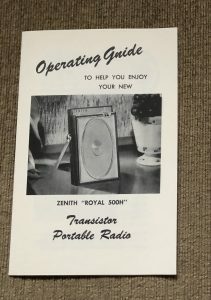 One of these came with each transistor radio when purchased new, but how many do you think were thrown out within a week? These give a good insight on how the original owner was to operate and care for their new prized possession and they make a nice complement to your collectable. Typical categories covered in these guides are: Product introduction, preparing for operation, operation, important things to remember, earphones, and warranty information.